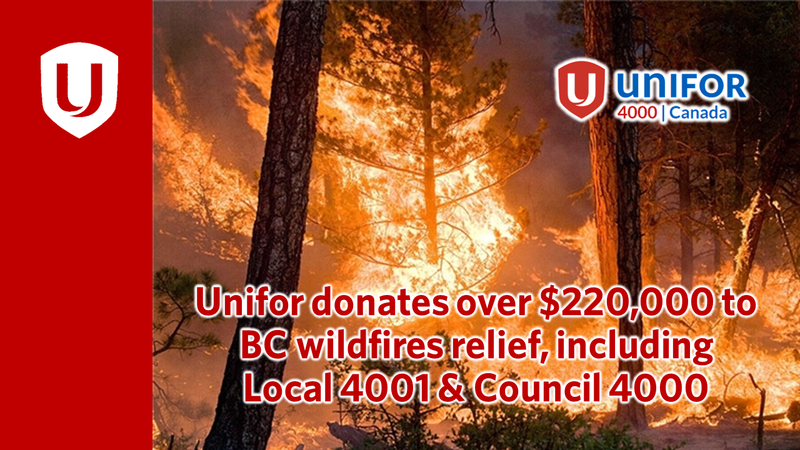 On July 12, 2017, Unifor responded to the wildfire crisis in BC’s Interior with a $100,000 donation to the Canadian Red Cross relief efforts. 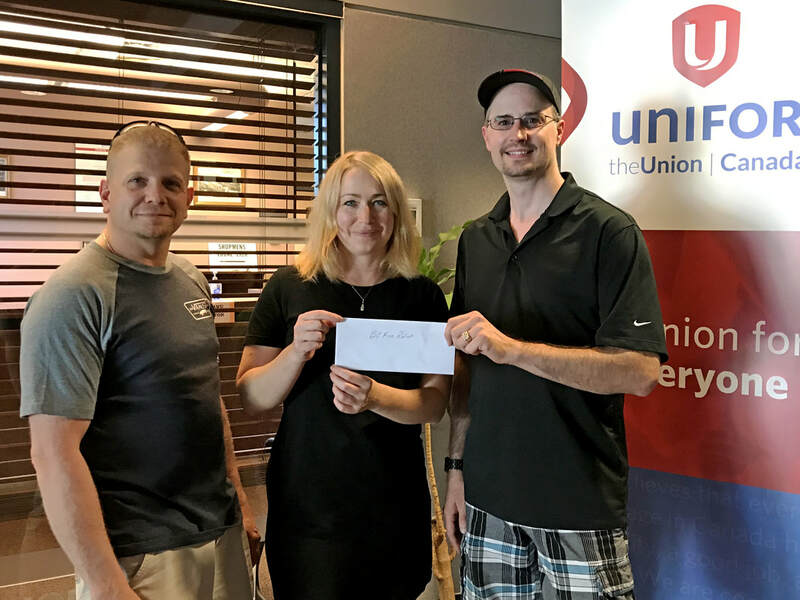 Unifor’s regional councils added another $120,000 in donations, and on July 28 the Western Regional Office held a BBQ to raise additional funds bringing the total donation to well over $220,000. In addition to the above donations, Council 4000 and Local 4001 also made donations to assist BC residents and communities. Local 4001 donated $10,000, while Council 4000 donated $1,000. Unifor has several hundred members spread out across the affected area, including 100 Mile House, 150 Mile House, Dog Creek, Lac La Hache, Quesnel, Soda Creek, Wildwood, and Williams Lake. With the support of the Red Cross local unions and members can make an online donation via a designated Unifor link – www.redcross.ca/BCFires/Unifor. ​The Canadian Red Cross says more than 50,000 people in the province have registered to receive assistance. Thousands of British Columbians remain evacuated as fires continue to burn across BC.